Sparked by the actress, Alyssa Milano on Sunday night, the hashtag #MeToo has begun and continues to go viral this week. Both woman and men are speaking out on personal experiences of sexual harassment and assault. The campaign is giving people a sense of the magnitude"of how pervasive sexual assault and harassment is in our culture. My business partner, Dale Thomas Vaughn, co-founder of the Gender Leadership Group, Better Man Conference speaker, and author of My Mission is to Move a Million Men to Purpose responds to this important topic. You - we - all deserve a world free from sexual violence. I've heard horrible stories too often. Anyone who is listening will hear our cul...ture tacitly allowing men to believe we are entitled to do, have, say, touch, demand whatever we please without consequence. I have spent my whole life in an attempt to raise the expectation of men because I believe we can do better. From Brock Turner to Harvey Weinstein to Clarence Thomas to Donald Trump to Bill Clinton all the way back to our primordial caves... we decent men have shaken our heads behind closed doors and publicly excused the behavior of violent men. When we didn't stand up, we knew we were weak. When we did, we knew there was danger. Many of us have been hurt and gas lighted by these predators too. Since the locker rooms and the playgrounds, they've patterned us into corners. They obfuscate their intentions so we waffle on ours. WE GOOD MEN WANT TO SAY "IT WASN'T ME" BUT WE KNOW "IT WAS US." We're not perfect either. Many of us have been confused by situations and intentions that seem opaque. But within us we always knew. Intuition told us something was wrong with a world so full of predators. We may have hurt people from ignorance, but we can learn and be better and stand for something. These predators are a different breed, but they are part of us. They isolate us with ridicule, threats and broken logic so we don't see the strength in our numbers. The truth is: good men outnumber the others. EVERY "ME TOO" SHOWS US HOW TO PARTICIPATE IN A BETTER SOCIETY. STAND UP. BE HEARD. Every "me too" shows the indomitable courage of survivors. I aspire to be that brave in the face of fear and sadness. Every "me too" shows us how to participate in a better society. Stand up. Be heard. We don't need heroes, we need to hear a chorus of voices saying "the onus is on us." To every "Me Too" who has ever entrusted me with that deep vulnerability... "I hear you. I weep. I promise to do my part to heal and prevent. The onus is on us." Join Us this tonight at EQ Inspiration! 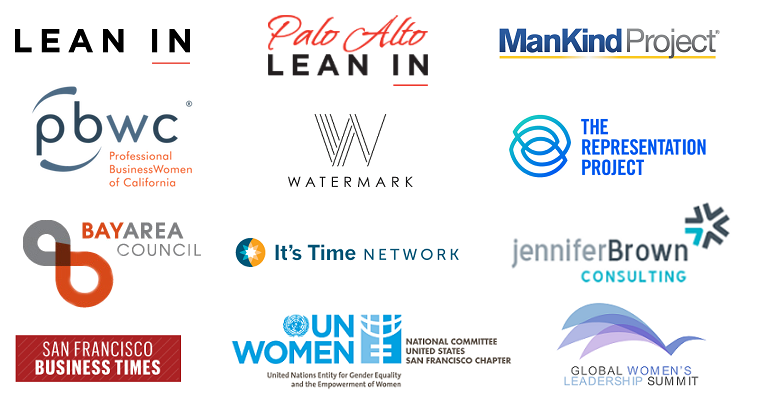 We are excited to announce an event partnership with EQ Inspiration, hosting a new event series that kicks off tonight(Thursday, Oct. 19th) in Silicon Valley about equality in tech. Co-founders Dale Thomas Vaughn and Ed Gurowitz will be speaking and moderating during the event in which the topic of discussion will be how and why women's advancement and equality in tech. can impact financial growth and improve corporate culture..
We invite you to please join us for an evening of information, inspiration and discussion with other leaders in tech. There are a few seats left, and we are told journalists from Forbes and KQED have reserved space to attend. You can purchase your tickets here.